Here is a document that will be useful when taking pictures of mushrooms with gills or tubes. Mauricie’s Wild Mushroom Partnership plans to build a database of photographs of mushrooms and invites enthusiasts to contribute; in exchange, the Partnership will ensure that the photographer’s name always accompanies the photographs that are published. These photographic records will be used for the production of popular literature, promotional materials or illustrations of mycological flora. 1. 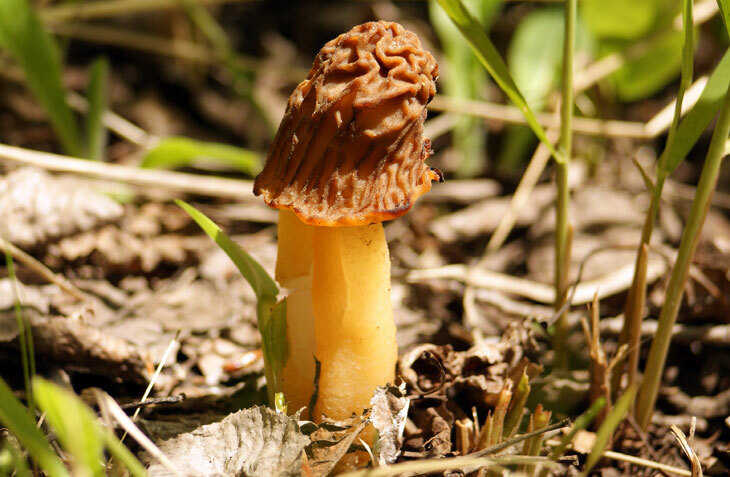 Photos: In the field, first by creating a photographic fact sheet and taking several pictures of the habitat, including trees, shrubs and plants found there; then by photographing the mushrooms at increasingly close range and getting into the details and the cuts. The Bohemian Verpa illustrated here required a total of seventy photographs, of which fifty were kept. In the appropriate places, enter the name of the species if you know it, the date of the photo, your name as author, etc. Click OK at the bottom of the window and the information is saved. If you have several photos to describe, select all the photos, then right-click your mouse on one of the pictures and perform the same operations as described above. Click OK at the bottom of the window – the information will be recorded in the fact sheet for each of the selected photos. For keywords, brief entries are preferred; if several keywords are used, they should be separated by semicolons. Images can then be grouped almost instantly by keyword, author, date and time the photo was taken. The comments section allows for many other details to be recorded: location, habitat, companion species, weather conditions, specific features, etc. Some cameras have a GPS that automatically saves geographic positioning in the Hidden information. A database of images may quickly grow to include thousands of photographs. If the information isn’t there, it will become unmanageable and impossible to navigate in ten or twenty years. It is therefore necessary to include as much information as possible. It isn’t necessary to be a professional or to have expensive equipment to take good photographs. Amateurs can easily discover the world of photography along with the world of mushrooms by taking the time to photograph mushrooms in their natural habitat. Furthermore, you don’t need to know the names of all the mushrooms that are photographed before embarking on such an adventure. This chapter is also an invitation to contribute to the large image bank being developed by the Mauricie’s Wild Mushroom Partnership to facilitate the publication of works of general interest.